The Presentation of the Blessed Virgin Mary is a liturgical feast celebrating when Mary’s parents, Joachim and Ann decide to consecrate her to God, and bring her, at the age of three years, to the temple in Jerusalem. It was a highly unusual act for a girl at that time. The baby Mary statues that are used to celebrate Mary’s birthday on September 8th, are seen on the streets again today as they go to church for special blessings much like the Baby Jesus statues do on Candelaria in February. Following the tradition set by St. Ann and St. Joachim, parents in San Miguel take their three year old to church to thank God for their child and dedicate the child’s life to God. 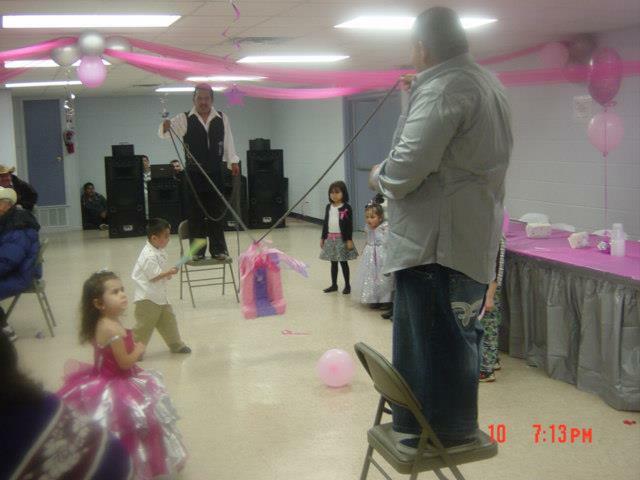 It is followed by a huge party for both children and adults with the young girls typically wearing princess dresses and featuring candy-laden piñatas. November 21 is also a “Pro Orantibus” Day, a day of prayer for cloistered religious and is special to cloistered nuns here in town located at Las Monjas church since their order is devoted to Mary.